How did you get started in pharmacy? I was 17, working in the local bakery and had plans to move to Melbourne. I hadn’t considered working in the pharmacy until one of the pharmacy assistants came into the bakery and recommended that I apply for a job. I still wasn’t sure that I wanted to work in the pharmacy industry, but the manager really encouraged me to at least apply, and I’m really glad I did because it was the best move I’ve made! Can you give me a brief overview of your career in pharmacy? I worked in aged care for two years, where I completed my diploma in Business, but I really missed working in a pharmacy. In aged care, I was working on the business side of things, and I decided to make my way back into the pharmacy. I completed my Dispensary course in Melbourne a couple of years ago and I’m about to take on my Certificate III in Community pharmacy. I have already completed my makeup application course, which I find really useful in store! I’m really dedicated to training, I think it’s incredibly important to continue your learning and to encourage others to do so! I have actually created a checklist for staff to complete their training, and I really encourage everyone in the store to keep up with the latest news and information in the industry and wider healthcare industries. Training is incredibly important to me! I feel like it would be a difficult day in a pharmacy without having any product knowledge or drawing on your training. I find conflict resolution and education is really important and really gets you through the tough days. In customer service, you will always get hard customers and my focus is having them leave the store happier than when they arrived. I also think product knowledge and training is incredibly valuable. When I walk through the store and I see a new product, I make it my mission to know everything about it and understand it completely! Tell us about your PATY experience so far? My PATY experience has been really surprising so far, in a great way! I really didn’t know what to expect and I definitely never expected to get to this stage. I’m really reeling from the win! 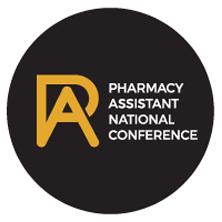 The workshop was great, and it has been awesome to meet up with other passionate pharmacy assistants and continue to grow and learn from each other. I found it interesting to see how different people might handle or react to the same situation and it’s a great opportunity to learn from experience. I think it’s a great to see things a little differently and really learn the best practice. It’s been enlightening and it’s been really fun to talk about community pharmacy with others who share that passion. What was the workshop day like? I really enjoyed the open discussion in the workshop, it was really good to see how other people from different backgrounds dealt with the same situation. You get to learn from one another and we really shared our knowledge and experience. Also, Kathy, the workshop facilitator was great! She really made everyone feel very comfortable, and it felt like a conversation amongst friends! I was really wondering if I would be up to scratch, which is why I was so surprised when I actually walked away as the state winner! The high calibre of ladies in the workshop was fantastic! I’m just from a little pharmacy in the country and I felt very unsure if I would have the same understanding as others who worked in larger pharmacies in the city. If anything, being from a small rural pharmacy, I came to realise that we really experience a bit of everything and it really contributes to your knowledge of healthcare. In the end, it didn’t matter if I won, it was just amazing to be there! I’m really proud that I will be representing our town and our pharmacy. Our town is more like a family, and it’s exciting to put our town on the map and give it a face in community pharmacy. I’m really looking forward to the public speaking training, I feel that is a really useful life skill, which I can use in my everyday life. Of course, I’m really looking forward to meeting the other finalists, I feel like I might feel a little star struck meeting all the other pharmacy superstars! And of course, a trip to the Gold Coast in the summertime is always going to be a great thing! I think it’s really important to be involved in something like PATY, just purely for the experience! It’s a great opportunity to meet other like-minded people, and really you never know if you never go!! Being nominated to begin with is a massive confidence builder and it’s really great opportunity to move up in your career. If you love pharmacy, I think it’s really important to be a part of. Even if you don’t win, just the feeling of being appreciated, by your employer, or by your customers makes everything totally worth it! Really as I said before, it’s been a real confidence booster! Also, my customer service when I returned to the store was A++ because I felt so confident and reassured in my role. It really cements that feeling that you’re doing a great job, and that self-awareness and confidence goes a long way in continuing to be the best you can! I hope I can be involved again, especially the workshop, it’s just been so valuable! I can’t lie, I would love to take out the national title! I think the prizes are so great. I would love to have a column to talk about the things I love in community pharmacy. I’m really passionate about training and education. I really enjoy motivating people and it’s really one of my personal and professional goals to motivate and educate those around me. The opportunity to be more involved and stay in touch with people from the Guild would be pretty cool as well! What would you like to see a change in pharmacy? I think I would like to see an attitude shift. I know when I came back from the workshop, we talked a lot about cause and effect, and difficult customers, and really all of those things that we don’t like to deal with. I think you have a real opportunity to make a difference, in your attitude and the way you choose to approach a problem or issue. I love making people feel better from the time they walk into the pharmacy, to the moment they walk out. I really go out of my way to lift them, so they continue to feel great! I love to put a smile on our customer’s faces! I love knowing that I’ve helped someone to my full extent – I always want to make sure I am going all the way to help them as much as I can. Being in a small community, people aren’t shy about telling you that you’ve made a difference to their day or their life, so you can’t top that feeling!